Calling all night owls! When the sun goes down, the grownup fun begins with exciting nightlife and bars Harrisburg & Hershey. Find unique clubs, speakeasies, and bars in Downtown Harrisburg, sip chocolate cocktails in Hershey, relax in a friendly pub hosting local bands, or let it ride on the table games at Hollywood Casino! Stay up a little later and discover all our nightlife scene has to offer! Hello patio season! When the weather is fine, have your dinner outdoors while you watch a pink and orange sunset and soak up another warm, summer night. 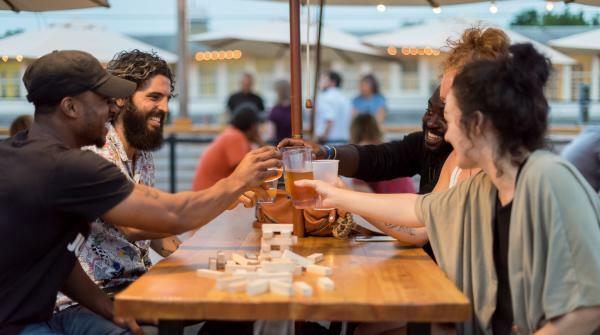 The Hershey Harrisburg Region has dozens of picturesque, alfresco dining spots like the quaint courtyard at Home 231 or rooftop drinks and bites in the Biergarten at The Millworks. Ask for a sidewalk table along Second Street in Harrisburg or Chocolate Avenue in Hershey, two of the region’s best people-watching spots. We’re family fun by day and craft cocktails and live music by night. 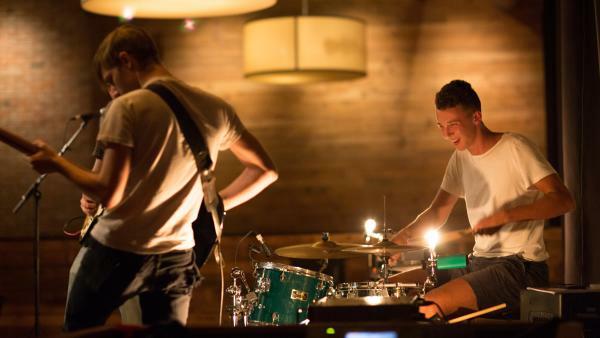 Do a little bar-hopping in Downtown Harrisburg or find a live music venue to jam with local bands. In Hershey, sip decadent dessert cocktail like the Signature Chocolate Martini or grab a flight of curious, creative craft beer. When late-night hunger strikes, our after-hours food menus are beyond delicious. Start your night right here!